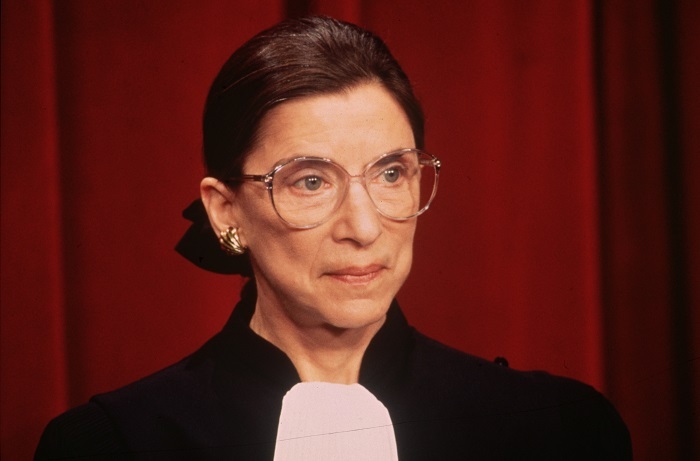 Supreme Court Justice Ruth Bader Ginsburg said that she plans to stay on with the Supreme Court for at least five more years, until the age of 90. "I'm now 85. My senior colleague, Justice John Paul Stevens, he stepped down when he was 90, so I think I have about at least five more years." The statement was made after a performance of "The Originalist" in New York City. The Off-Broadway show is about her late colleague Justice Antonin Scalia. Ginsburg said of him, "If I had my choice of dissenters when I was writing for the court, it would be Justice Scalia." She described their arguments back and forth as "like a ping-pong game." She considered him a close friend, and they would often go to operas and dine together. Ginsburg was appointed by President Bill Clinton in 1993 and is the second female justice ever to be confirmed to the Supreme Court. She had been one of only nine women in a class of 500 men at Harvard Law School, with the dean asking "How do you justify taking a spot from a qualified man?" She later transferred to Columbia Law School, where she became the first woman on two major law reviews and tied for first in her class. At the beginning of her legal career in 1960, she had difficulty finding employment due to being a woman. Regarding term limits, Ginsburg said, "You can't set term limits, because to do that you'd have to amend the Constitution. Article 3 says . . . we hold our offices during good behavior. And most judges are very well behaved." She has already hired law clerks for at least two more terms.